The format of the Brechfa Rally which is organised by Dyfed DBC has changed this year to a 2 day event. This should make things a bit more interesting! To get a good result, we'll need to be consistent on the special tests across both days. 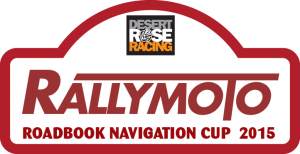 I have entered in the Good Experts (1) category again, and having finished in the top ten in every ATRC event I entered last year apart from the Beacons Rally, I'm reasonably confident I'm in the right class. I found it also made a difference to my test times having a clear run at the tests. Last year at the Brechfa was my first race aboard the new 300, and I ended up in 8th place overall, with 2nd place in the Rally Lite 2T > 249cc class. This year my goal in the ATRC is to try and win my class at every event and claim a top ten finish overall. It's ambitious but I have to push myself to keep improving. The race is in less than 2 weeks now, so it's time to prepare myself and the bike. Can't wait! Haha yeah you're right there matey! Are you doing all the rounds this year?